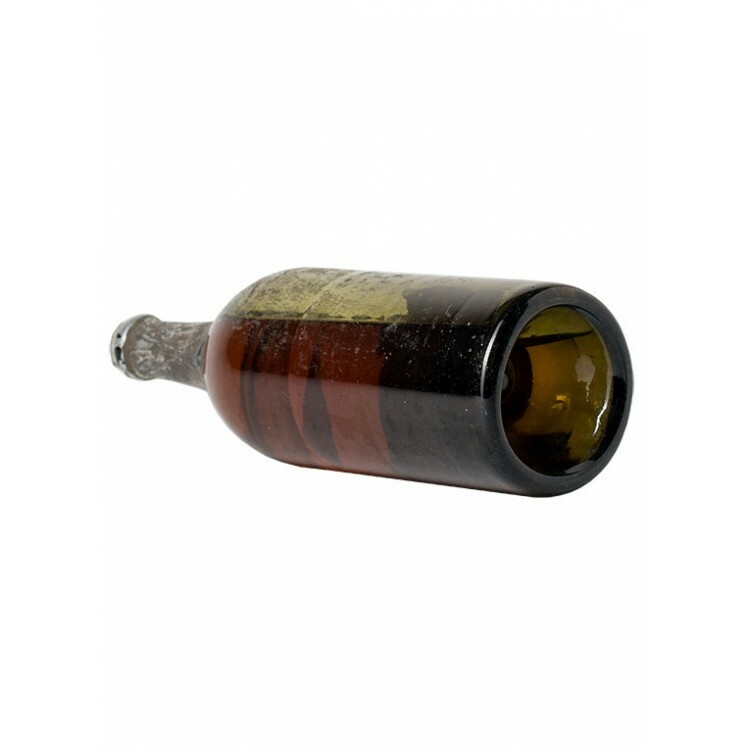 SOLD: Absinthe was banned in France 1914, this Pernod Fils bottle is from the period before the ban. It dates from around 1910. 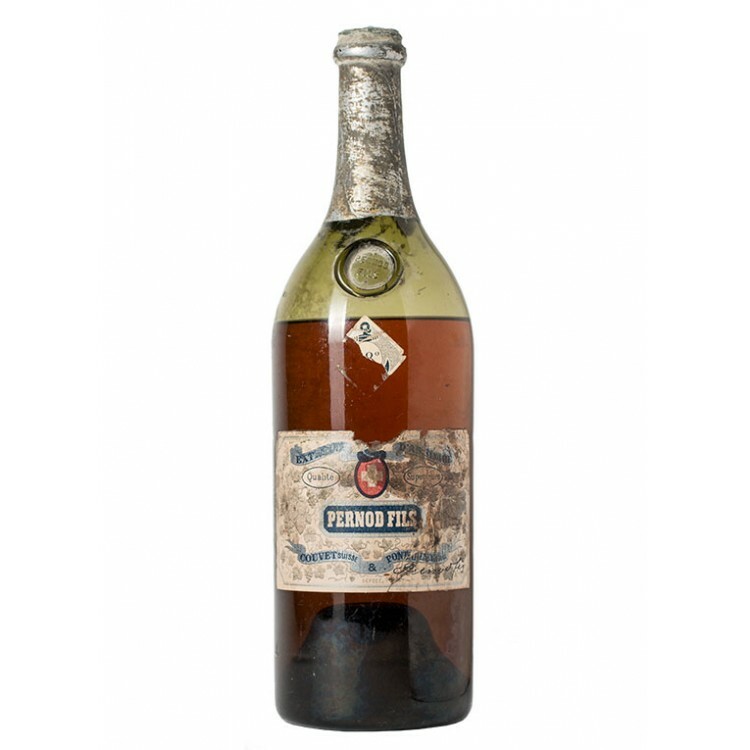 It is in excellent condition, meaning that it has a good filling level, an intact neck-foil and Pernod Fils branded wax seal and original labels complete with only minor scuffing. 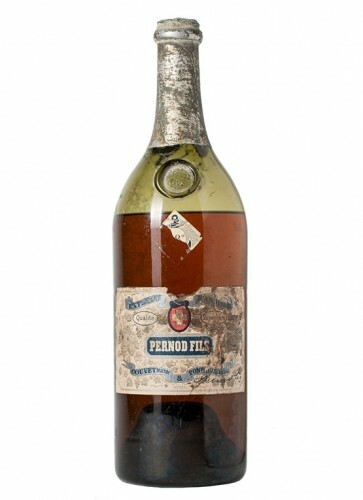 Absinthe was banned in France 1914, this Pernod Fils bottle is from the period before the ban. It dates from around 1910. 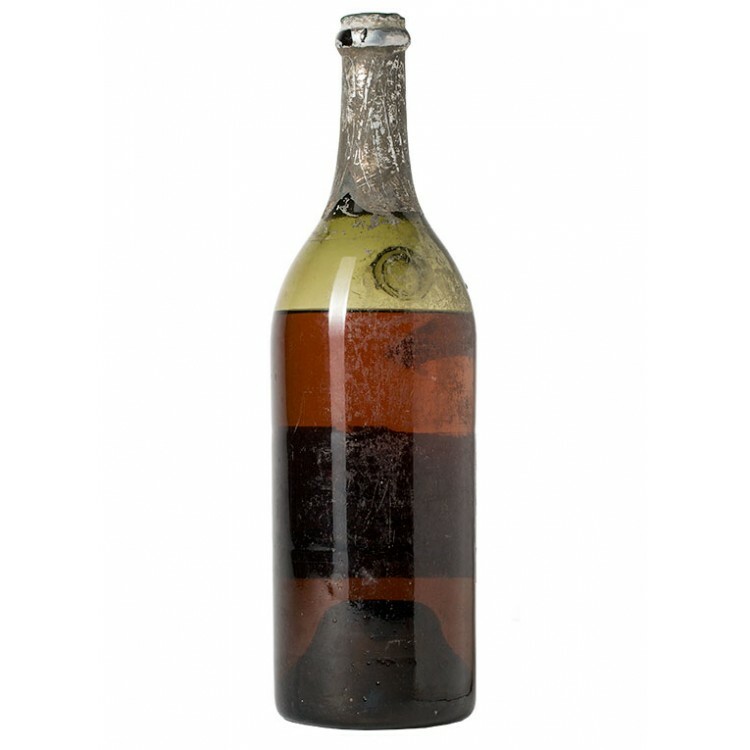 It is in excellent condition, meaning that it has a good filling level, an intact neck-foil and Pernod Fils branded wax seal and original labels complete with only minor scuffing. The bottle has as well the iconic Pernod Fils glass stamp at the bottle neck. 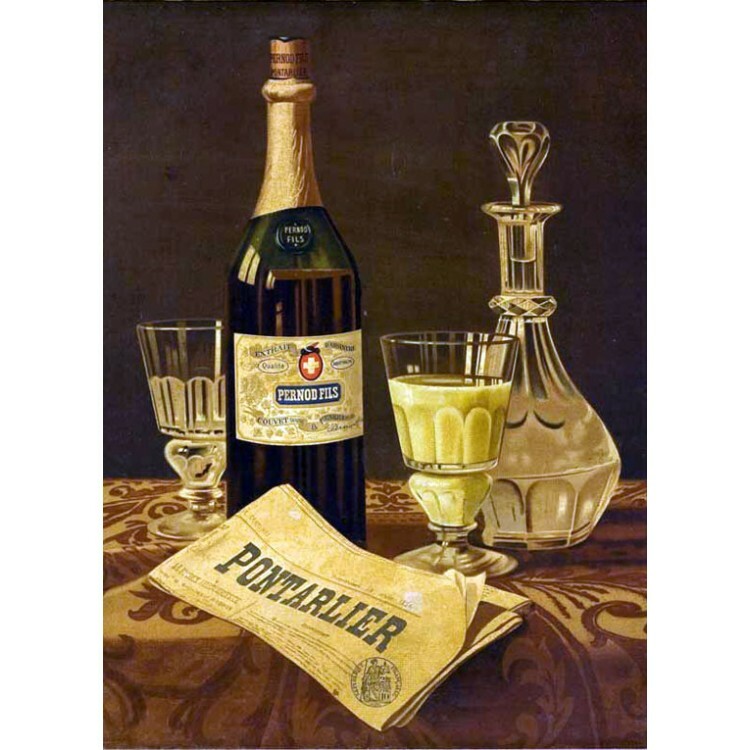 Pernod Fils is the classic Absinthe of the Belle Epoque, the benchmark by which all others are judged. 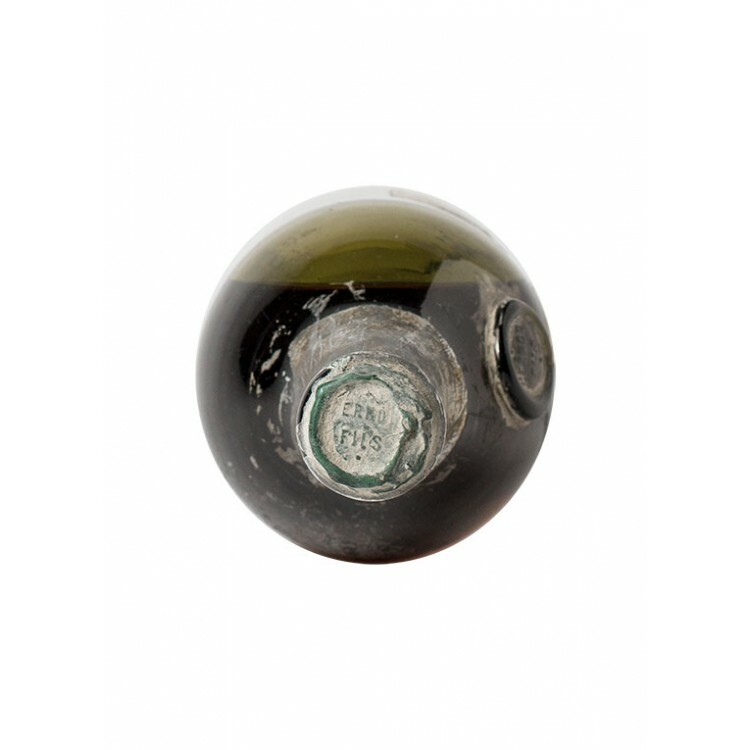 Bottles in such pristine condition are extremely rare. A very desirable object and definitely an investment for the future. Owning a pre-ban Absinthe is reserved to only a few people in the world. 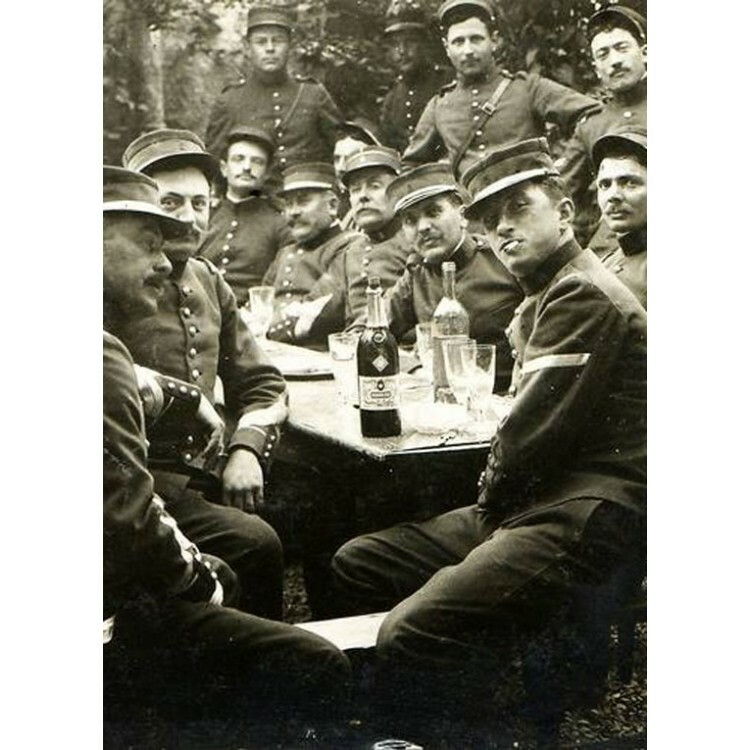 Pre-ban Absinthe is extremly smooth and full of flavor as it has aged for more than 100 years.